YT Pace - the original template with support for Joomla 3.0, developed by the popular designer studio YooTheme. 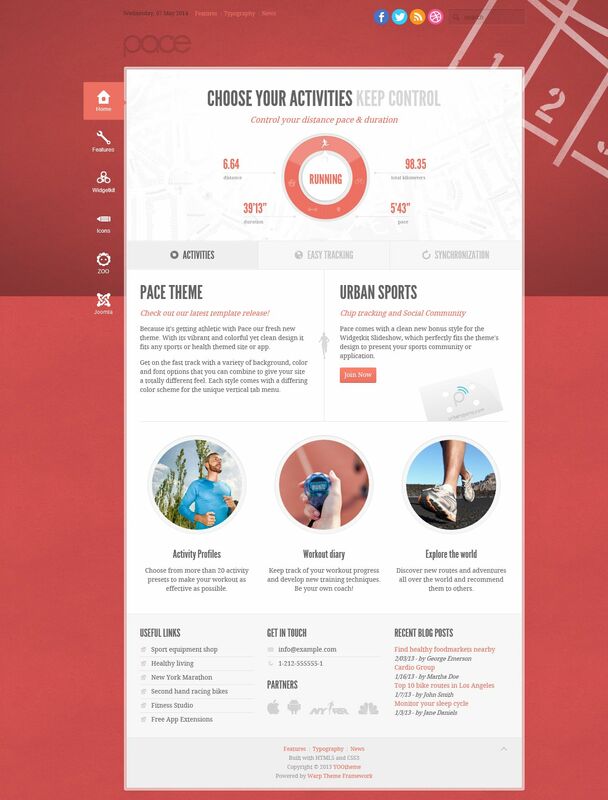 Modern design layout that includes 8 designs, perfect for creating websites on any topic and functional structure. Each topic is the appearance of the site includes unique color schemes and original design vertical menu represented in the template. In the assembly includes a new design theme for the widget slide - show, which is part of a set of tools Widgetkit. Flexible proprietary platform Warp6 uses all the capabilities of modern Web - technologies that optimize the template and support for mobile platforms. This template contains 12 background images. 14 supports various types of fonts and styles unit 6.